A new OS/2 distribution has arrived. The Arca Noae Package Manager, a frontend for yum, the "Yellowdog Updater, Modified" of Red Hat (and Yellow Dog) fame. More ported UNIX and GNU software (alas no Emacs). Apparenly the icons are bigger now. 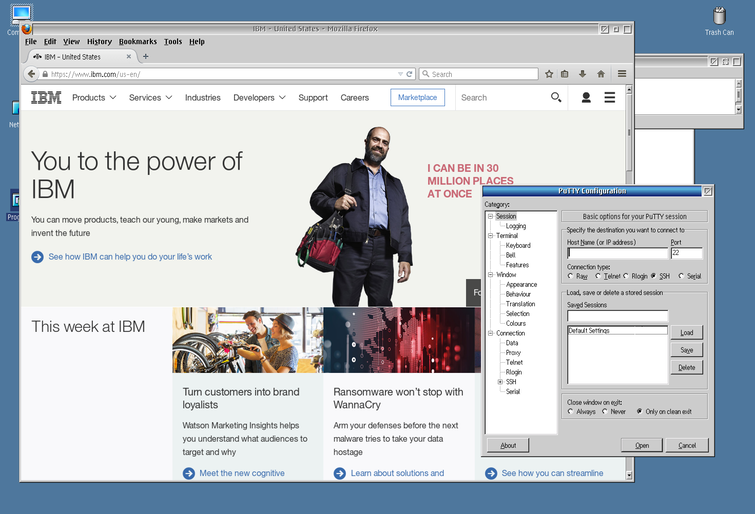 The Sybase Watcom compiler comes as a package and is usable (but its IDE is not). vi is a much better editor than epm, e and tedit. Odin allows running 32 bit Windows applications. 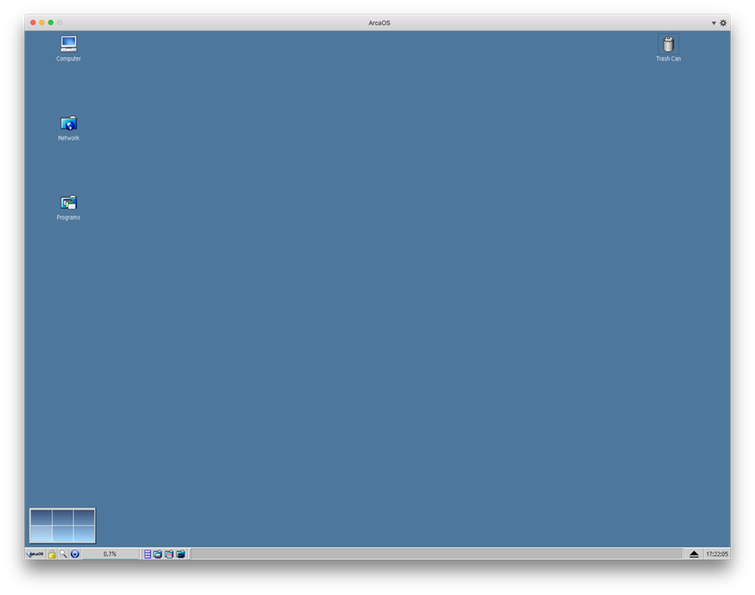 Still no command line shell that supports multitasking (but OS/2 had one until version 1.3 in 1991!). No hex editor. No xxd. The desktop looks like the desktop. The "Computer" object is like Windows' "My Computer" or "This PC" icon. 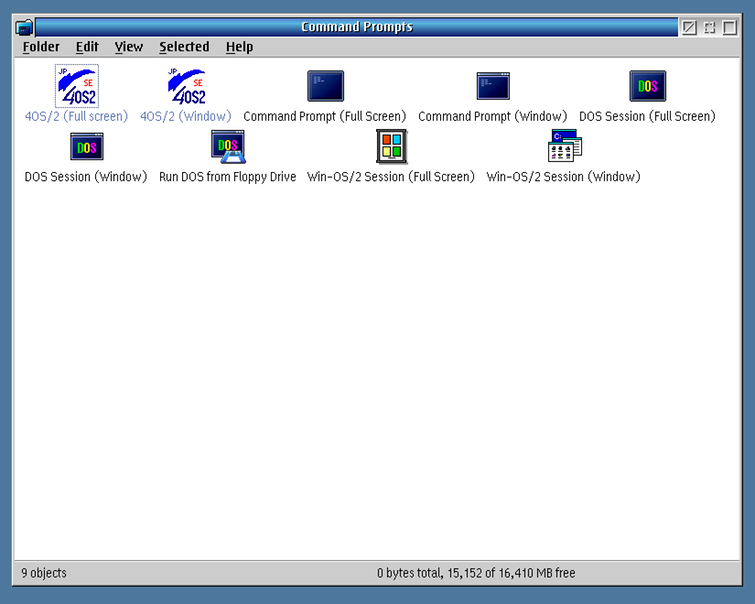 I always liked the "Command Prompts" object which contained traditionally the OS/2 and MS-DOS command prompts as well as the Windows program manager seamless and stand-alone. ArcaOS adds the 4OS2 shell (which is really not great but an improvement on OS/2's cmd.exe, neither shell is even better than Windows' cmd.exe). The OS comes with FireFox and a few other common available Internet programs. Putty also works via Odin. Unfortunately the package manager does not offer an X server or rdesktop client so connectivity is limited to pure ssh or Telnet. What the OS can do is run 16 bit Windows programs, the majority of them (but not, for example, Microsoft Cinemania '94). It probably runs most of the 16 bit Windows programs better than Windows Vista and above do these days. 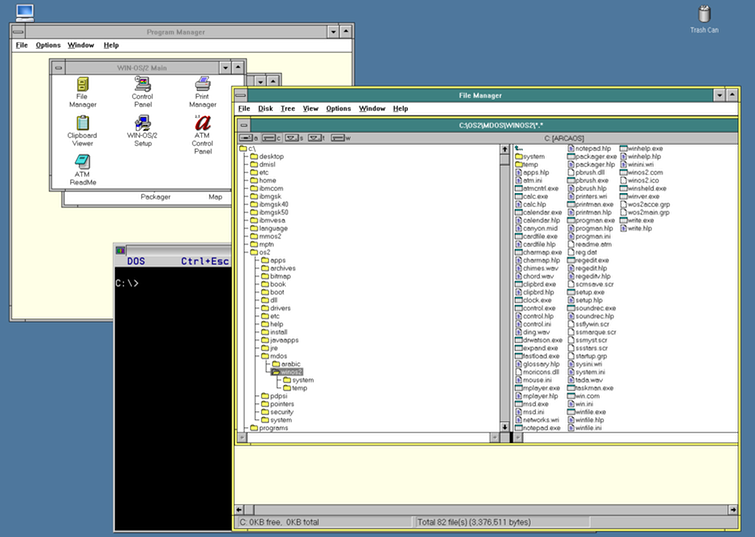 ArcaOS also comes with Java 1.6, ultimately limiting the software that is runnable to most real mode DOS programs, most 16 bit Windows programs, some 32 bit x86 Windows programs, all (i.e. the few existing) 16 and 32 bit OS/2 programs and 32 bit Java programs up to version 1.6 of the platform.